It is with sadness that we share the news of the death of Jean Wright from St Andrews Close. Jean was one of our oldest clients at 92. Her funeral service will be held at St Andrews on Thursday 30 August at 2.30 and all are welcome. The family have asked for donations in lieu of flowers. Her chosen charities are NSPCC and WGNS. WGNS would like to thank all those volunteers who helped make the Summer Tea Party so successful. 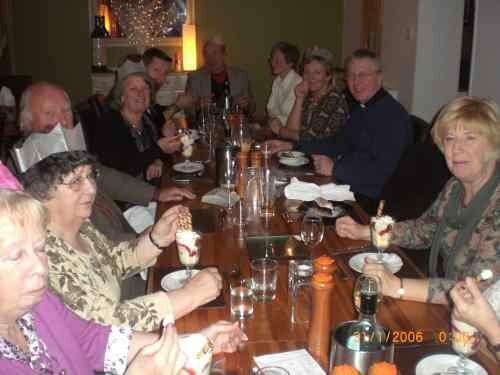 Many of the clients, plus some family members who also attended, said what a lovely time they had. They were also full of praise, compliments and thanks for the service WGNS provides to the residents of Whissendine. 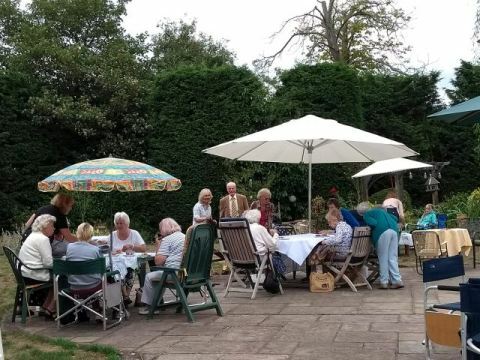 Thankfully the weather was cooler than of late and over thirty clients enjoyed tea and cakes outdoors in a beautiful garden. Volunteers offered hands-on help on the day, donations of food, raffle prizes and loans of garden furniture. The event wouldn't be possible without all these contributions. Over £200 was raised through raffle ticket sales and some generous cash donations. This will go towards paying our annual insurance policy, our mobile phone maintenance and sundry administration expenses. The Team Rector of Oakham with the Churchwardens and Parochial Church Councils of the parishes of Whissendine, Teigh, Ashwell and Market Overton have pleasure in inviting you to the licensing by the Bishop of Brixworth and installation by the Archdeacon of Oakham of The Reverend Deborah Marsh as their Team Vicar on Sunday 4th February 2018 at 3.00 pm in the parish church of St Andrew, Whissendine. We would like to thank Whissendine Parish Council for the donation they recently gave us. It's a valuable contribution to our running costs. In November we heard the sad news that Janet Jaconelli had died after a long illness. Janet was a founder member of Whissendine Good Neighbour Scheme. She worked tirelessly for it from the very beginning and throughout her illness. Her powers of persuasion and organisational skills helped our scheme to grow and to make it the award winning scheme it is today. Both clients and volunteers will miss her. Whissendine Good Neighbour volunteers and their partners came together this month to celebrate the close of another year helping local people. 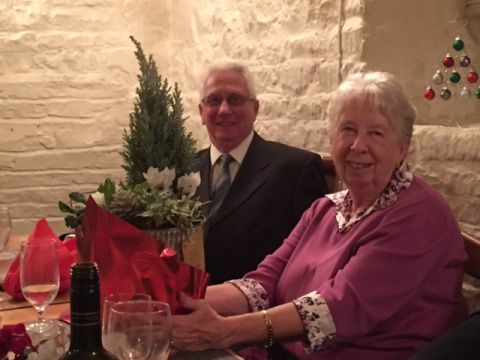 At a Christmas meal at Jackson Stops restaurant in Stretton, Gwen made a short speech introducing Alison Keal as the new chair of WGNS. Alison responded by thanking Gwen for her untiring hard work since establishing the group and reminding everyone how she continues to make a difference to villagers. WGNS will not be losing Gwen's talents as she is making a side-ways move to become joint secretary with Jean. Alison presented Gwen with a Christmas-style planted arrangement and Marks and Spencer gift vouchers. From 1st June 2015 WGNS will be able to offer our clients a 50% reduction on travel fees if they hold a valid Rutland County Council (RCC) bus pass. Clients who hold a RCC Bus pass will have to pay only 50% of the fee they usually pay to the driver. The driver reclaims the other 50% from WGNS and WGNS in turn claims it from RCC. We will run this subsidy scheme for 6 months initially from June 1st 2015 and then review it. Transport within the village will remain free. The following advice has been sent round to all our volunteers. You must ensure that you do not take any action to place yourself in danger. We do not expect you to lift or move immobile clients. 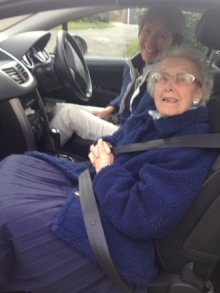 Efforts are taken at the booking stage to ensure that all clients travel in the most appropriate vehicle and that clients who require lifting to move from wheelchairs to car seats are either accompanied and helped by a carer or are directed to more appropriate forms of transport. If a client falls, you must report this to the phone coordinator as soon as possible and in no circumstances should you try to haul the client to their feet. Instead, if the client is capable of standing up, place the chair or other solid object next to them so that they can use this to lift and steady themselves. At the same time summon a relative or neighbour to help. If the client is bleeding or requires first aid attention, and you've been trained or are confident that you can help you should administer first aid. If the client is unable to stand call an ambulance or dial 111, the paramedics don't mind and it's the right thing to do. Sam Asplin, Whissendine's new parish councillor came to talk to us about the scheme recently and has offered his support with a couple of issues. Once more this year we would like to ask all people in the village to be ‘Good Neighbours’ during the winter months. Please look out for the elderly or housebound, especially during snowy weather or during power cuts. If you are fit enough to clear the path to your own door, consider doing this for someone who is less able. (The Prime Minister assured us that we won’t be sued for doing so!) If there is a power cut and you are fortunate to have a wood burner or gas fire, invite someone in who is reliant for heat on electricity, or at least take them a kettle of hot water to make a cup of tea. 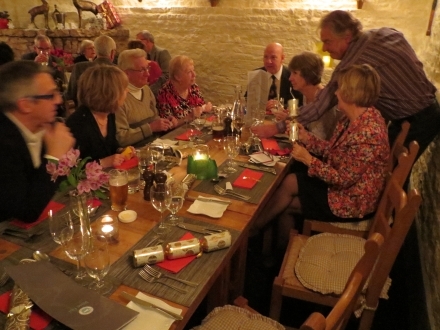 And finally, WGNS volunteers came together to celebrate Christmas at a Rutland pub restaurant in December. Gwen Griffiths thanked all volunteers for their dedication to the Scheme which is being used as a model by other villages in Rutland and Leicestershire. Our Summer Tea Party this year took place in the Village Hall - a cool, wet and windy August persuaded us that indoors was a sensible place to be! There were fewer attendees than last year but a number of our clients were unwell and several others sent their apologies. However those who were there had a great time, and volunteers had the opportunity to sit and chat with clients. It was also lovely to see our newer volunteers joining us. The food was enjoyed by all, so thanks to everyone who donated savouries and cakes. 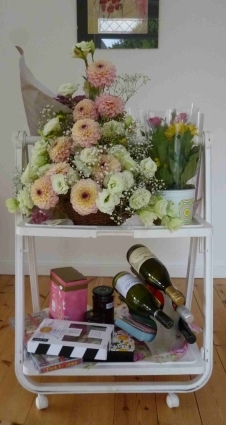 At the end of the afternoon, virtually all our clients went home with a raffle prize and a bag of “goodies” (cakes or savouries) to eat later. The Raffle draw, organised by Jenny and Albert, was great fun and raised £62 for our funds. A special thanks to Alison and all her helpers who organised and prepared the Village Hall before the party and tidied up afterwards. In March the Rural Communities Council (RCC) organised a Good Neighbour Scheme conference to enable existing and developing Schemes to benefit from each others advice and experiences. WGNS attended the event and reported on our achievements and the lessons learned in nearly 4 years of operation. A copy of the PowerPoint presentation can be dowloaded here. 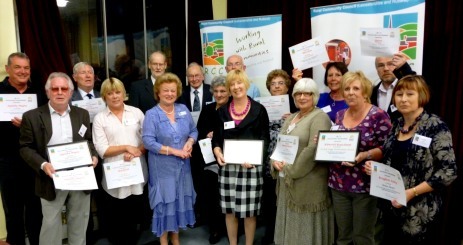 Whissendine Good Neighbour Scheme receives Inspiring Award! 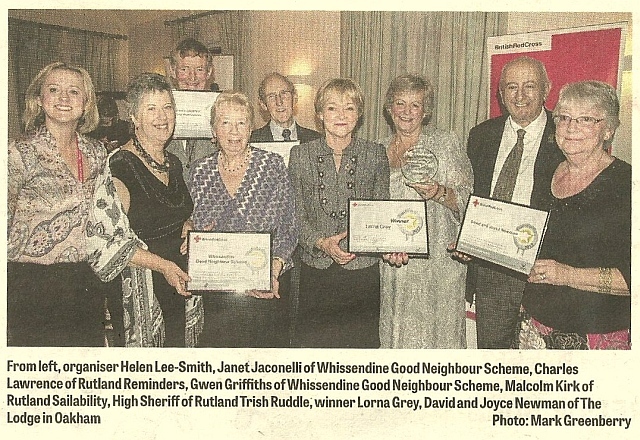 The Red Cross and Rutland Times have given Whissendine Good Neighbour Scheme an award for 'Being inspiring and doing inspiring work in the local community of Rutland'. There were seven nominations and WGNS came third. All those nominated were truly inspiring people or groups and we were very pleased to have been included in such company. Our nomination came from within our village; it’s especially pleasing to have local recognition for our work. Gwen Griffiths accepted a framed certificate on behalf of the group. This will be displayed in the village hall, alongside with the Village Achievement Award WGNS received in 2011. 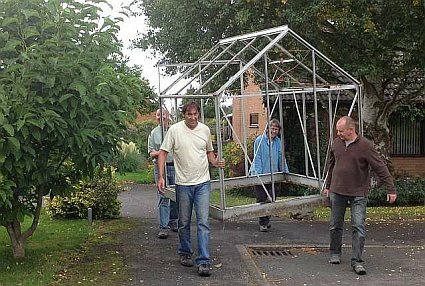 In one sunny day, A gave B a blueberry bush, B gave A some alchemilla mollis, D used his 4x4 to pull out a shrub then B and E helped move D's greenhouse from his garden, via the gardens of B and A. Good neighbour co-operation?. 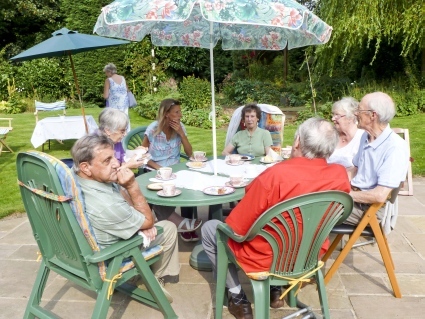 Whissendine Good Neighbour Scheme held a summer tea party for clients and volunteers to get together and have a chat. The weather was kind to us and the afternoon was dry but not too hot. 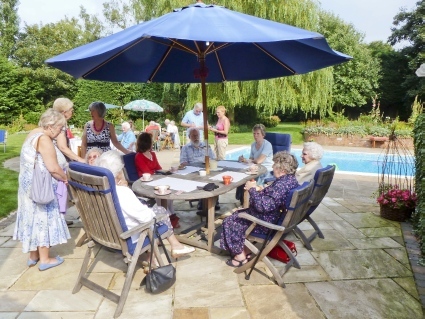 Fifteen volunteers provided lifts and made and served refreshments to 30 villagers and the afternoon passed in a hubbub of conversation and laughter. The afternoon was judged a great success and £117.50 was raised for the Scheme's funds. Thanks to everyone who helped and to Alison and Colin for loaning their home to us for the day. Whissendine Good Neighbour Scheme now offers a wheelchair for loan to residents who have temporary need of one. If you'd like to borrow it or find out more, call the usual phone number at the top of the page and ask the Co-ordinator about it. The Co-ordinator will take a message and someone will call you back. Borrowing the wheelchair is free for Whissendine residents. Rutland County Council offers some services during inclement weather; click here to download the file. 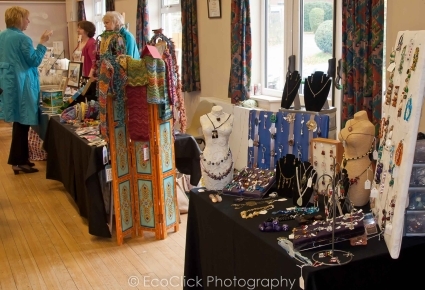 The "Made in Rutland" Craft Fair in the Village Hall on November 3rd was a great success. Around £260 was raised for the Whissendine Good Neighbour Scheme from a Treasure Hunt and the sale of tea, coffee and cakes. The Hamper of locally sourced produce that was the prize for the Treasure Hunt. Our thanks to all the local businesses that helped us make this such a great prize. 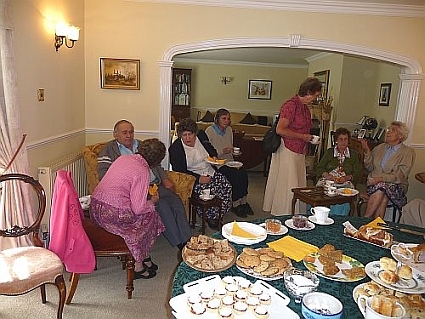 Whissendine Good Neighbour Scheme held an afternoon tea party for clients and volunteers to get together and have a chat. Tea, coffee and cakes were enjoyed by all! 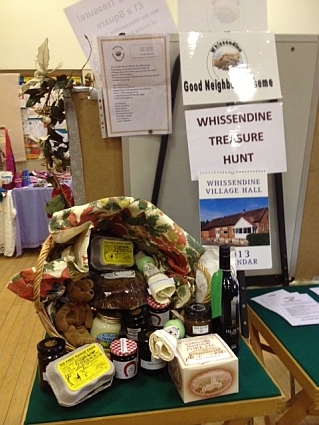 Whissendine Good Neighbour Scheme hoped to have an information stall on the village green on the night of the Whissendine Six road race on July 13th. We'd planned a fund-raising Treasure Hunt with a prize of a hamper filled with items produced or donated by businesses and individuals within the village. Sadly the weather conspired against us and the Whissendine Six was cancelled when the village stream flooded and the road became impassable to anybody who didn't have a 4-wheel drive vehicle, knee-high wellies, or the enthusiasm of the young. Thank you to everyone who offered help or donated gifts for the hamper. We intend to keep the non-perishable gifts until the Craft Fair on November 3rd, when we will be offering refreshments and a raffle to raise money for WGNS. Perhaps we'll have a treasure hunt for an Xmas Hamper: watch this space! Ann Edmunds' coffee morning was a great success and raised more than £160 for WGNS. Our thanks to everyone who supported Ann, Fairtrade and WGNS! On a couple of occasions recently WGNS has provided a volunteer driver plus a volunteer to accompany a client to a medical appointment. This has been either because the client is elderly and needs someone to interpret or remember what is said, or because they need someone to take them from the hospital car park to the clinic whilst the driver looks for scarce car parking. For the purpose of the work records this is being classed as chaperone duty (regardless of the gender of the client). You may, therefore, see this word being used on our website, or in written communications. The Good Neighbour Scheme wishes to thank the organisers of the "Made in Rutland" Fair for their generous donation to the scheme's funds. We would also like to ask all people in the village to be "Good Neighbours" during the winter months. Please look out for the elderly or housebound, especially during snowy weather or during power cuts. If you are fit enough to clear the path to your own door, consider doing this for someone who is less able (the Prime Minister assures us that we won't be sued for doing so!). If there is a power cut and you are fortunate to have a wood burner or gas fire, invite someone in who is reliant for heat on electricity, or at least take them a kettle of hot water to make a cup of tea. "Made in Rutland" Craft Fair benefits WGNS! The first "Made in Rutland" craft fair, held in Whissendine's Village Hall, was a big success on the 12th November. 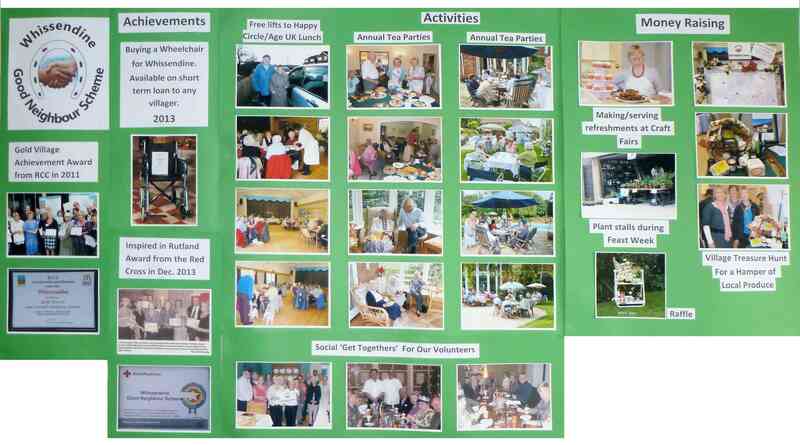 Some of the Good Neighbour Scheme's volunteers helped behind the scenes, selling raffle tickets and serving tea and cakes. Over £300 was raised, to be split between Whissendine Good Neighbour Scheme and Leicester Animal Rescue. 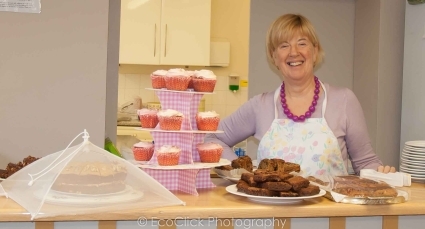 Thanks to EcoClick Photography for both the photos below, showing a couple of the stalls (top) and Janet, WGNS's secretary, serving tea and cakes (bottom). 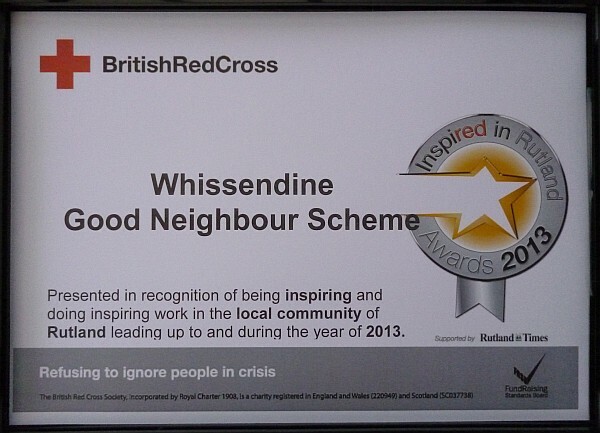 Whissendine Good Neighbour Scheme wins award! At the Rural Community Council's AGM on 22nd September we were awarded "Gold and Overall Winner" in the Community category. Two of our volunteers were there to receive the framed certificate and a cheque from the Lord Lieutenant for Leicestershire, Lady Gretton. Whissendine Good Neighbour Scheme is a community effort and the award recognises the hard work and commitment not only of the volunteers and management group, but also of the villagers who have supported us with donations, publicity or just by taking an interest in what we do. Our Chair and Secretary would like to send a big thank you to you all. For more information on the awards, see the Rural Communities Council website. At the Annual General Meeting of the Good Neighbour Scheme on July 12th it was agreed to make two changes in the provision of transport. Firstly, the rate for mileage will increase from 40p to 45p a mile from September 1st. This is in line with other voluntary organisations and reflects the increased price of petrol and other costs. A new map showing the charging zones will appear in the September Grapevine. Secondly, where transport is provided to large hospitals where parking is difficult (for instance in Leicester or Peterborough), users will be advised to have someone to accompany them from a dropping- off point to the clinic, leaving the driver free to park the car and await a call to collect them. If a friend or relative is not available, the Good Neighbour Scheme will provide another volunteer to accompany them. 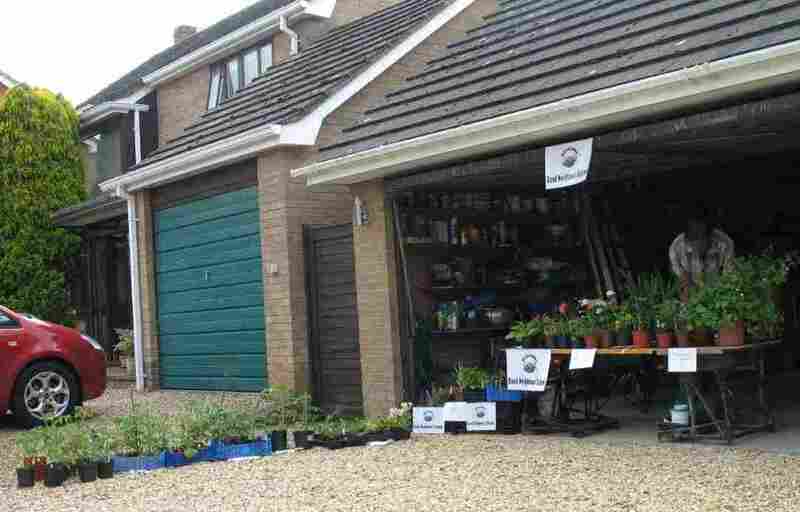 As part of the Whissendine Feast Week Open Gardens, WGNS held a plant sale and raised £30 for its funds. Any organisation with a website is naturally interested to know if anyone is looking at it, so our website guru gives us some figures each month. We are pleasantly surprised to see how many people are interested in what we do. However we are just a little surprised by the information we have on where the viewers come from. To take the month of March as an example, people from 9 different countries accessed our website. 40% if them live in the USA, 25% from the UK (as you would expect) but 15% are from the Russian Federation! Now, either you all have relatives in far-flung places who like to keep up with what’s going on here in Whissendine, or the Big Society is catching on worldwide. Our talk on ‘How to start a Good Neighbour Society has been accessed 16 times and the slides downloaded 11 times. Cultural exchange to Belarus anyone? Whissendine Good Neighbour Scheme meets its targets! When we launched the Scheme in June last year we hoped we would be able to help our residents on 400 occasions in the first 12 months. Well after 9 months we have exceeded that target. 23 of our volunteers have provided help to 22 villagers on 425 occasions. The mobile phone has taken 134 calls. 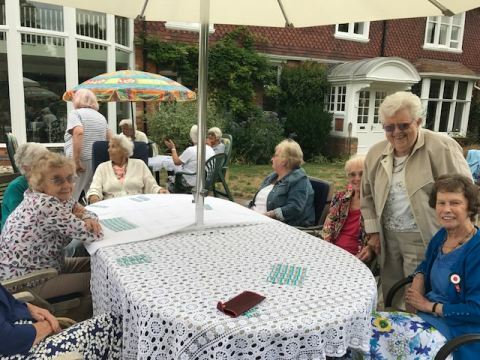 Most of the calls were requests for transport to medical appointments or to social events in the village but volunteers have also undertaken befriending activities, such as dropping in for a chat with residents who have said they would like a regular visit. We have been funded by Voluntary Action for Leicester and Rutland, the Rural Communities Council, Parish Council, Feast week committee and donations from those we have helped. Ours is a low-cost operation as volunteers give their time freely. Feedback has been very good with some residents saying they don’t know how they managed before and more than one person has said that they feel more positive about living independently in the village in spite of increasing age. Volunteers also have enjoyed getting involved. 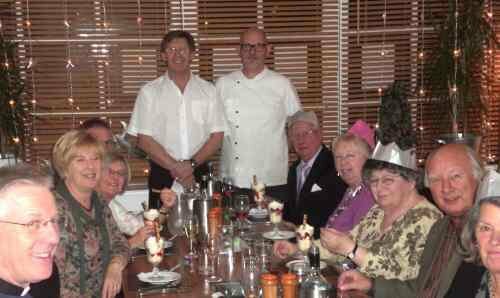 Volunteers celebrated 6 months of the scheme with a Christmas meal at Slipcote in December and took the opportunity to say goodbye to Barry and Keith, who are leaving the village to live in Lincolnshire. They have made a substantial contribution to village life in various ways during their time here and will be much missed. When the Good Neighbour Scheme was launched in June it was not certain how much demand there would be for it and a target of helping on 400 occasions was rather optimistically chosen. However we are well on our way to meeting that target, with 269 instances of villagers being helped by 20 volunteers who have visited, driven, shopped, cleared snow, assisted at Age Concern Lunches and answered the Scheme phone for the benefit of their neighbours. Feedback from users has been very positive and the volunteers’ motivation has remained high despite the recent bad weather. We hope to continue to make the village a supportive place in which to live in 2011. We have changed the name of our website to http://www.whissendinegns.org.uk to make it quite clear that we are a voluntary organisation and in no way a commercial one. In the short term if you click on the old name you will be redirected but it would be best if you updated your favourites or bookmarks to the new site. WGNS volunteers might wish to tell their 'clients' about the library and help them by borrowing books on their behalf. “BROWSE, BORROW, BUY, BRING” at the new village library/book shop opening at St. Andrew’s Church on 1 December and thereafter daily from 10.00am to 4.00 pm except during services. The library will be unattended. A wide selection of titles fiction and general - hard, paperback and talking books - is offered for your reading and listening pleasure. You may borrow a book for a small donation or buy paperbacks for 50p each or three for £1.00 or buy hardbacks/talking books for £1.00 or as priced. All proceeds to church funds. On loan from the vicar is a “borrow only “selection of Christian/religious books. A collect & return service for those who are housebound is available via the Good Neighbour Scheme. 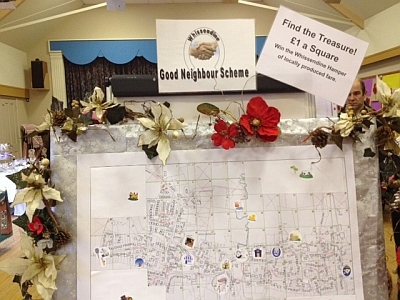 Whissendine Good Neighbour Scheme continues to provide a valuable service to residents of the village. In the three and half months since the scheme was launched in June it has assisted villagers on 103 occasions. 14 volunteers have given their help to 14 villagers during this period and the mobile phone has been answered by 8 different volunteer co-ordinators. The majority of calls via the mobile phone have been request for transport to local hospitals, or other medical appointments and to social events within the village. 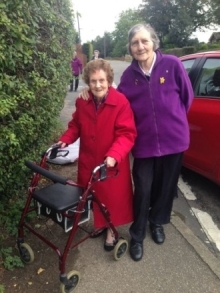 On some occasions however residents have been assisted with transport to family members in the region who are in need of help because of illness. This facility means the Scheme can allow people to continue their support of the family even though they are now unable to drive. Volunteers are also dropping in for a chat to residents who have said they would like a visit on a regular basis and of course there is the usual feeding of cats and plant watering that goes on between good neighbours wherever they live. Feedback from users has been very positive and the volunteers have said that they enjoy the experience too. As part of Feast Week, Whissendine Good Neighbour Scheme had a stall at the WI cookery demonstration evening. We sold plants, cakes, jams and chutneys and raised a little over £100 for the scheme! Thanks to everyone who contributed items to the stall and helped run it and, of course, thanks to everyone who supported us. After months of preparation the Scheme got off to a flying start in June, with 23 calls to the mobile phone over the following four weeks. As expected, most of the callers asked for transport to hospital, doctors etc, reflecting the difficulties villagers have in accessing these services if they don’t have a car of their own, or family living locally to help. One unusual request came from someone whose garden had been invaded by sheep who were happily adding her garden plants to their normal diet of grass. A volunteer was dispatched to contact the farmer who soon remedied the situation. 11 volunteers gave their help to 12 village residents on 26 occasions during the month proving the need that had been highlighted when the Parish Plan questionnaires were analysed. Funding for the scheme has been raised from inside and outside the village securing the scheme’s future for the next 9 months at least. 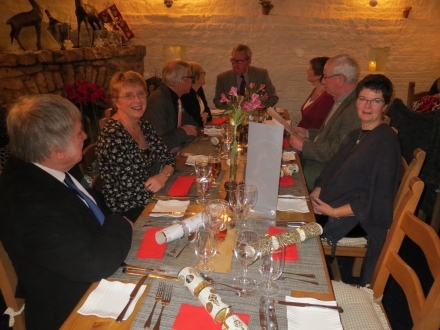 A lively gathering of volunteers, held at the White Lion at the end of the first month gave an opportunity to share experiences and make suggestions for refining the operation of the Scheme and extend its contacts with other local organisations.